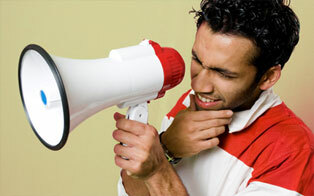 Research for your next blog post can be a dismal exercise. Bookmarking tons of sites, copying & pasting to a long Word document and trying to keep track of your sources is time not well spent. Instead of organizing tons of open tabs and a daunting bookmark list, wouldn’t you rather be writing? 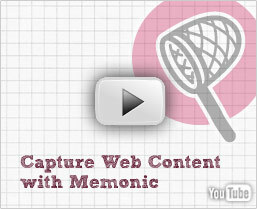 With Memonic, quickly save any web content with just a click to your online notebook. Easily include others' comments, quotes, and extensive research in your post. Want to engage your readers? Create a Memonic group to discuss the background of a story and collaborate with your audience on your next entry. Plus our tools work on any blogging platform (Wordpress, TypePad, Blogger, Movable Type, etc.). Memonic offers you a swift and integrated solution for fast and resourceful blogging.